Bel Furniture may not be the oldest furniture company around but they’ve made a definitive mark on the American home furnishings market. One of the fastest growing retailers in Texas they’ve become a household name with furniture in thousands of homes. In our Bel Furniture reviews guide we will talk about Bel Furniture's history, their values, their furniture quality, and their furniture warranty. Bel Furniture is still owned and operated by two brothers and has the work ethic of a family run business. There is a very personal feel to their presentation and products, allowing a more personal connection to the customer. Bel Furniture have “cut out the middleman” and are selling directly to homeowners. This allows them to keep control of the whole process and ensure customer service remains high. It also allows them to keep costs low for the buyer. 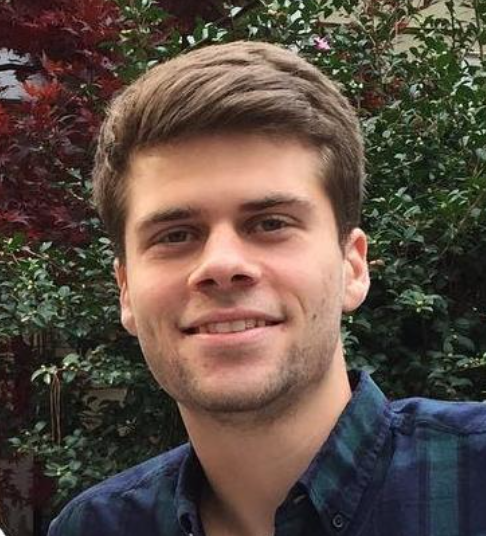 If you are looking for another family owned business, check out Jonathan Louis! Bel Furniture are dedicated to delivering the highest quality furniture at the best price. They’ve developed a fairly diversified range and are now operating out of 15 different locations, with distribution centres in Houston, Humble, Webster and Beaumont. There is also a mega show room in San Antonio. Bel Furniture are now crossing state lines and growing into the surrounding territory. They’re quickly becoming an American success story, building up their business with their dedicated team of employees. Bel Furniture take their job seriously and the family business mentality still remains strong with them. They regard all their employees as part of the team, all striving for the same goals, and It’s allowed them to grow rapidly. Bel Furniture are manufacturing products for the whole home. They have collections for bedrooms, dining room, home office, entertainment pieces and kids collections. Their most popular products have always been their living room collections, which offers a range of choices. Bel Furniture is one of the most competitively priced furniture providers around, allowing those on a tight budget access to some solid furniture. 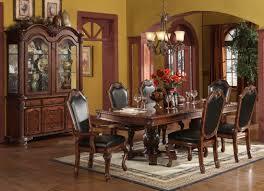 Good quality materials are used in all of their products, with the majority of their furniture having hardwood frames. Bel Furniture keeps most of it’s production within the U.S and this allows them to keep standards higher than some other competitors who outsource to Asia. Despite their low prices the quality doesn’t dip too much as Bel Furniture have kept their selection of items tight, focusing on the value they can provide to the customer. Let’s take a look at Bel’s living room range, specifically their sofas and recliners which have proved some of their most popular pieces. 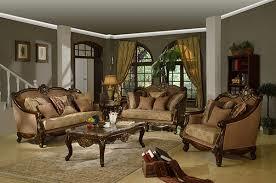 Bel Furniture understand how varied living rooms can be and have a wide range of different seating options. Choose from loveseats, sofas, recliners, chaise lounges, ottomans, futons and accent pieces, all of which are available in a wide choice of colours and fabrics. The sofa has always been the most popular option for homeowners and is the centrepiece of the living room. Bel Furniture have 12 different styles available, some exclusively online, are are a mix of traditional, contemporary and modern to fit with different home decoration. Each of the styles has unique specifications, with their standard units being built: 84 W x35.5 Dx38"H. The units size and shape vary greatly depending on the style, but with their varied range you should be able to find one that fits your available space. Bel sofas have a range of options, from colour to fabric, that will drastically alter how your living room looks. Your best bet is to head into a showroom and experience all of the options first hand before making a decision. All of these come together to give a comfortable and stylish sofa you can be proud of. 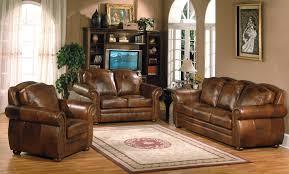 There is a mix of modern luxury and traditional comfort in each of their models, particularly in their leather ranges. Bel Furniture offer several different shades of leather, with popular options being their dark chocolate or white bonded leather. Leather gives a timeless look and make the sofa a lot more durable. It’s not for everyone but makes a great addition to your home. 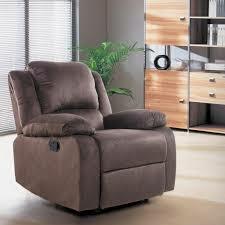 An important piece in any home is the recliner, or reclining chair. Recliners are the symbol of relaxation and comfort and Bel Furniture is offering some of the most cost effective on the market. There is a choice of traditional units, like the wooden rocking chair, or the more modern recliner chairs we’ve come to love in our homes. Just like their other living room pieces you can customise the fabric and colouring, with leather being the classic option. Each motion has specialised mechanisms fitted into the unit to give you the desired effect. The lifting units are particularly useful for those with limited mobility with sitting and standing made simple. Bel Furniture produce theatre style seating which is one of their most luxurious units. Featuring an extra deep padded back cushion, reclining motion and modern addons like cup holders, It’s the one for you if you’re all about comfort. Bel Furniture have proven they are about more than just price. Their product selection is good and the construction values fairly consistent. There aren’t as many choices available as with other competitors but you still have a range of options to make your piece fit your home perfectly. Although Bel Furniture is prodominately known for its living room pieces including sofas, and recliners, they also produce bedroom sets. These sets come in King, Queen, and Full sized sets. Along with this, these sets come in a variety of different colors and numbers of pieces. Generally these sets are 6 piece sets which include a bed, a dresser, a landscape mirror, a nightstand, and a 3 piece bed. Along with this, some of these sets even come with a free chest for the foot of your bed. These sets are predominately made of hardwood of darker complexions, but just recently these bedroom sets are coming with lighter colors available as well. That being said, these sets are quite reasonable price wise, but the durability has yet to be truly tested. One of the biggest influences on my decision to purchase furniture from a company if I like their pieces, is their customer service. Customer Service is extremely important with furniture because of the general high ticket prices of furniture, and all the moving pieces involved with purchasing furniture. That being said, customer service has been slightly concerning with Bel Furniture. Bel has a dedicated line for customer service, which is available to assist you with any problems you might have. That being said, I have read a handful of reviews online of poor experiences with this customer service department. Some of these reviews included being disrespected, or not being available to help them. This can be quite concerning because the main thing I want in a furniture company is good customer service. “Extremely upset with Bel Furniture, I spent well over $2000 on furniture, had it for 6 months, the sofa ripped somehow underneath the foot rest.” - Trisha G.
“Only shop here if you don't need your furniture for months! The salesman told me we would have our couches in two weeks, going on week six and still no couches.” - Marcus T.
Bel Furniture don’t keep all of their stock on hard and some units are built/shipped upon ordering. This can lead to delays and means it takes a little longer to get your unit. It’s important to find a sales agent you can trust who will give you a straight answer. Try and pin them down on a date and see what they will offer you if they can’t stick to it. “Awesome place for inexpensive furniture with folks on a real budget….After having our sectional for five months, it is withstanding many endeavors!” - Peter G.
With less expensive furniture you can’t expect the same long life span you would get with the high end units. It’s always worth checking your warranty agreement thoroughly so you can see what’s covered, plus always check your pieces thoroughly when delivered so you can report any problems early on. Bel Furniture stand behind their products with a unique 120 day price match guarantee. If you can find the same unit for a lower price they’ll match it and you’ll save money. Bel Furniture also offer a 3 day satisfaction guarantee, if your unit doesn’t look how you’d like you can return it within 3 days for a full refund. On top of this Bel offer a 1 year warranty which protects your products from any workmanship defects or material damage. This does not cover standard wear and tear. Always check with your sales agent about the specifics of the warranty because it can vary between units. Every furniture company creates their own special policies and promises to help ease customers worries, and help draw in more sales. Some of these include price match or price guarantees, satisfaction guarantees, and of course warranty policies. Some companies are extremely generous with these policies, and it can really be a deciding factor. Another promise they offer is the 3 Day Satisfaction Guarantee. This means that within 3 days of delivery or pickup of a piece of furniture, you decide that you don't like it, or it doesn't work in your home, then you can trade your piece for any other Bel piece of equal or lower value. Thats as long as it doesn't have any damages, and if you want it to be picked up, then you'll have to pay a delivery fee. Overall, I thought this policy was a little weak. There are competing companies that not only offer a 30 day satisfaction guarantee, but they also offer a refund of the purchase, not just the ability to trade. I think Bel should really take a look at revamping and bolstering these two policies. Bel Furniture is very much for homeowners on a budget. They don’t have the biggest selection in the world, and they aren’t providing the best quality but their prices are extremely competitive. The best value comes in their higher tier ranges, which are more durable but still affordable. Upgrade what you can and you’ll see the most use from your products. If you are looking for other furniture in this price range I suggest you take a look at our new Klaussner furniture page, check out Ashley Furniture, Benchcraft Furniture, and Coaster Furniture for value options. 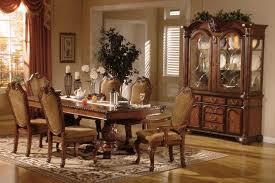 Bel Furniture is certainly offering value to your home and making solid home furniture available to everyone. It’s no wonder the company is growing so rapidly, and be sure to check them out if you’re looking for some good, affordable pieces for your home. 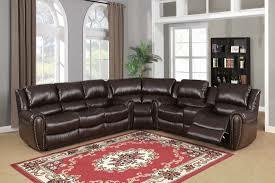 If you interested in other living room furniture pages check our our living room reviews!